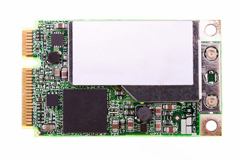 Wireless Internet Cards for Laptops. Empowerment of the marginalized; Upliftment of the downtrodden; Women Power; Easy availability of essentials for living; Education for all; Health and Sanitation for all; constitute the essence of substance bandied about day in and day out by every leader who counts or not. These are their primary duties to the people who elected them. A leader’s contribution, however, at the end of his/her term in power is more likely to be assessed by his/her ” Signature Accomplishment ” during the period than any other. I define ” Signature Accomplishment ” as that action : (a) which can impact and benefit a large section of people of a country; and/or (b) which can be replicated and reverberated for guidance in similar places elsewhere in the region/world ; and/or (c) which can make a nation stand tall and proud amidst all nations in the world stage. Late Jawaharlal Nehru, India’s First PM. 1. Late Jawaharlal Nehru ( India’s First PM – 15 Aug 1947 to 27 May 1964 ) guided India through INDUSTRIALIZATION for economic self-sufficiency – specially concentrating on Steel Mills and Dams – utilising the Technology imported from both Western and eastern Blocks. A game changer for ‘Growth’ was his ” Signature Accomplishment “. 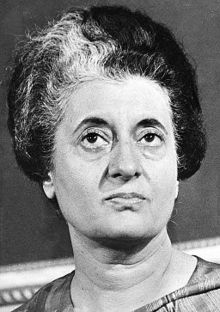 Late Smt Indira Gandhi, India’s 4th PM. 2. Late Smt Indira Gandhi’s ( India’s Fourth PM – Jan 19, 1966 to Mar 24, 1977 and Jan 14, 1980 to Oct 31, 1984 ) Pokhran Nuclear Explosion in 1974 put India on the world nuclear map. A milestone in India’s Nuclear History India earned the status of the world’s youngest nuclear power. A Game changer in the ” nuclear security ” front was her ” Signature Accomplishment “. Late Sri Rajiv Gandhi, India’s 7th PM. 3. Late Rajiv Gandhi ( India’s Seventh PM – 31 Oct 1984 to 2 Dec 1989 ), the Chief Architect of Modern India, ushered in the ‘Computer Revolution’ in India. A visionary with a farsighted leadership, he dreamt of making India a leader in 21st Century. A Game changer in ‘ Technology ‘ front was his ” Signature Accomplishment “. 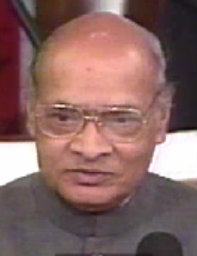 Late P V Narasimha Rao, India’s 10th PM. 4. Late P V Narasimha Rao ( India’s 10th PM – 21 Jun 1991 to 16 May 1996 ), popularly called the “Father of India’s Economic Reforms” launched the free market economy in India and played a stellar role to give shape to the impact of the New World Economy. It took the toddler that India has been to move its first step, speak its first words, and to charm others with its sweet smile. It is significant to note that Dr Man Mohan Singh, then Finance Minister and later PM spearheaded the reforms. A game changer in ‘ India’s Economic Reforms ‘ was his ” Signature Accomplishment “. Sri Atal Behari Vajpayee, India’s 11 th PM. 5. Sri Atal Bihari Vajpayee’s ( India’s Eleventh PM – 19 Mar 1998 to 19 May 2004 ) ‘ Golden Quadrilateral ‘ , a highway network connecting many of the major industrial, agricultural, and cultural centers of India _ Connecting Delhi, mumbai, Calcutta, and Chennai and hence the name Quadrilateral – setting the tone for development when ‘infrastructure’ was touted as the ‘buzzword’. Significantly, A B Vajpayee has been the first non-Congress PM who completed a full term. A Game changer in infrastructure the ‘Golden Quadrilateral’ was his ” Signature Accomplishment “. 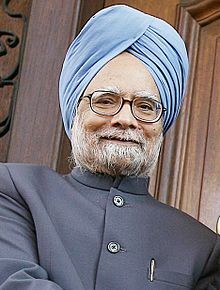 Dr Man Mohan Singh, India’s 14th PM. 6. Dr Man Mohan Singh’s ( India’s Fourteenth PM – 20 May 2004 to 25 May 2014 ) Historic ‘ Civil Nuclear Agreement ‘ with U.S.A. has been the harbinger to our future energy independence and energy security. He is also affectionately called the Deng Xiapong of India. A game changer in ‘energy security’, the Civil Nuclear Agreement was his ” Signature Accomplishment “. All the above left their footprints in Gold and gave India’s image a moonshot and redefined leadership in a true sense. Each of these accomplishments came at a time when India had a “thought leader” at the helm with the ability to see the big picture. None of the above, however, are purely original and every accomplishment had a precedent elsewhere in the world for use and application as the guiding light with tweaks in approaches that suited our culture and population. That Congress held power during 5 out of the 6 game changing accomplishments was not just a coincidence but an expression of peoples’ confidence.